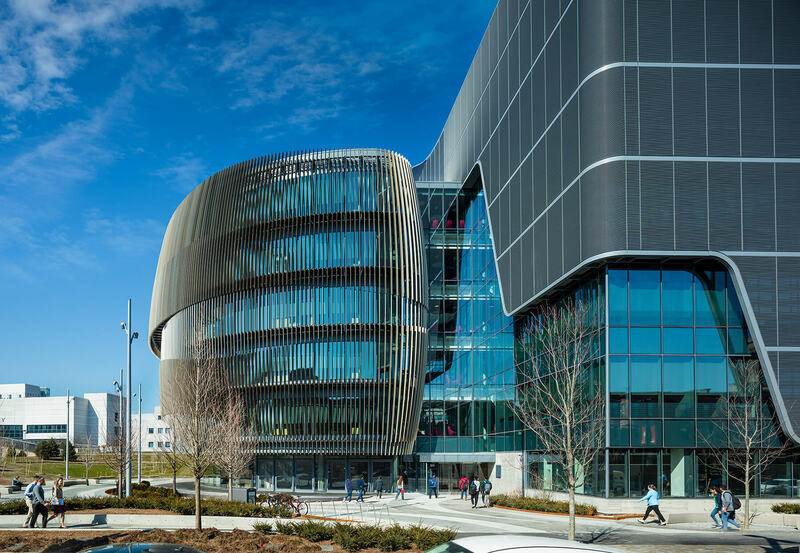 We are pleased to announce the Interdisciplinary Science and Engineering Complex at Northeastern University received the 2018 Harleston Parker Medal, an honor that recognizes most beautiful building in Boston. The Harleston Parker Medal award was established in 1921 by J. Harleston Parker in memory of his father. The first award was granted by the Boston Society of Architects/AIA in 1923. The intent of the award is to acknowledge the “single most beautiful building or other structure” built in the metropolitan Boston area in the past 10 years. Constructed on an urban brownfield site that consisted of a surface parking lot set between two garages, the Interdisciplinary Science and Engineering Complex (ISEC) forms the initial phase of a long-term vision to link the University’s Huntington Avenue Campus with Columbus Avenue, span the MBTA and Amtrak rail lines, and connect the Fenway and Roxbury neighborhoods. This project and the subsequent phases are symbols of Northeastern’s ongoing mission to strengthen communities by bringing them together. The pedestrian bridge crossing the rail lines was lifted into place last fall and will open in 2019. Throughout planning and design, our team used energy modeling tools to analyze solar heat gain and shape the building for optimum performance. Iterative simulations, employing parametric modeling and custom compositing software, developed the exterior shading system as an integral part of the building’s overall form. The precision of this process allowed mechanical equipment to be tightly sized to handle the greatly reduced heating and cooling loads. Fluid in appearance, the building is rigorously tuned; the shading elements that give it its striking character are essential to its performance. The building represents values at the core of our practice – fusing design and performance. We fundamentally believe that beautiful buildings perform beautifully. The ISEC is an exemplar with a 78% reduction in energy use compared to the 2030 baseline. The jury recognized the building not only for its beauty, but for its high performance, urban connections and ability to bridge communities, citing it as a new way to think about designing for the future. We are honored for the ISEC to receive this recognition and extend the jury’s accolades to all our collaborators. 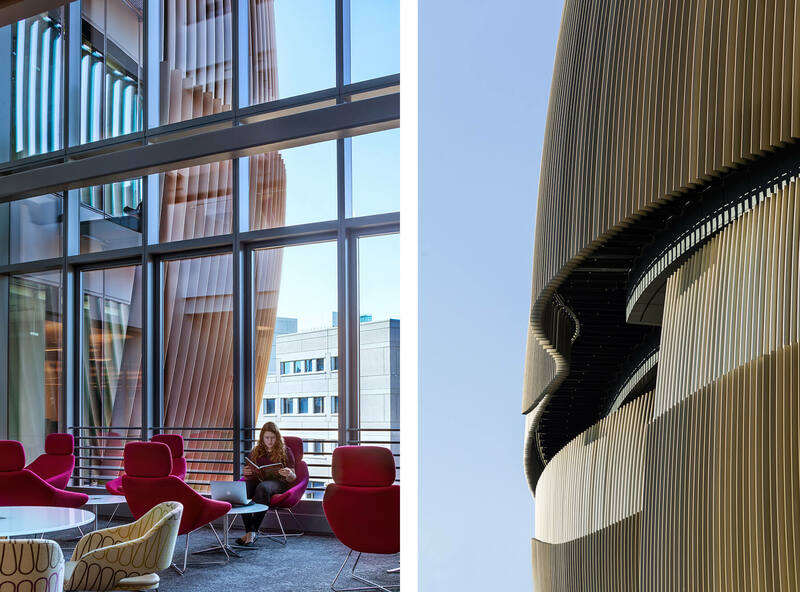 Projects like Northeastern’s ISEC are not possible without an incredible client with true vision and the cadre of consultants who make buildings like this reality. This project is the result of true collaboration. Thank you for the honor. Fabulous building and a great addition to the City of Boston.